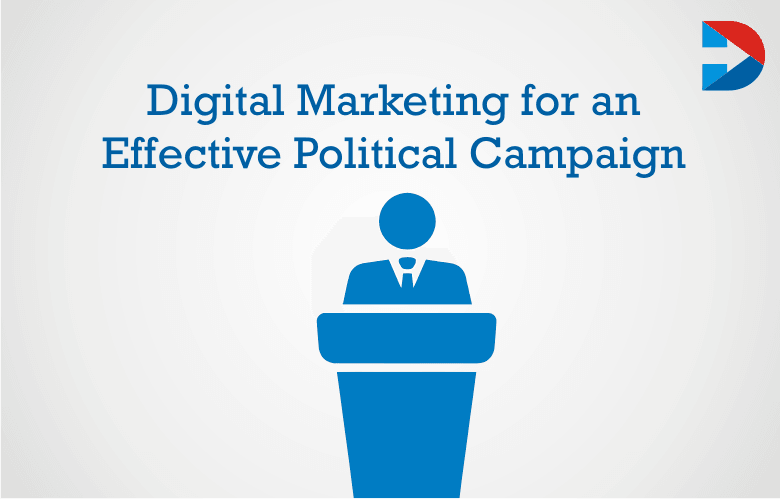 Digital marketing has become an essential tool for effective Political Campaign. Digital marketing makes it easy to connect with voters and reach the targeted audience for the very low cost. A lot of voters’ data is available online, and it is the way the data is used that determines the success of the marketing campaign. There are many great tools to help create and execute digital marketing strategy for political campaigns. These tools help to focus on the candidates and to expand the reach. Digital marketing campaigning tools completely changed the way to communicate with the voters. Choosing the right tool or software helps in efficiently completing the tedious tasks involved in managing the digital marketing of political campaigns. When selecting the digital marketing tools for political campaigns, many things need to take into account. This is one of the favorite political digital campaign management tools. Fundraising and donor management is also done by the tool efficiently. This is an affordable tool and is very easy to ease. Customers can get support anytime from the customer support team. 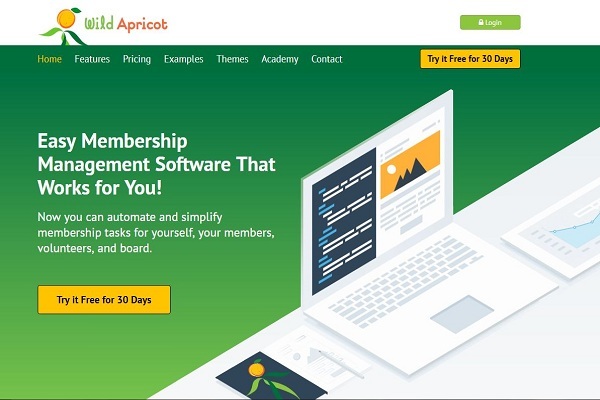 This is easy to use and comes with advantageous features such as email automation, mobile integration, website builder and tracking. 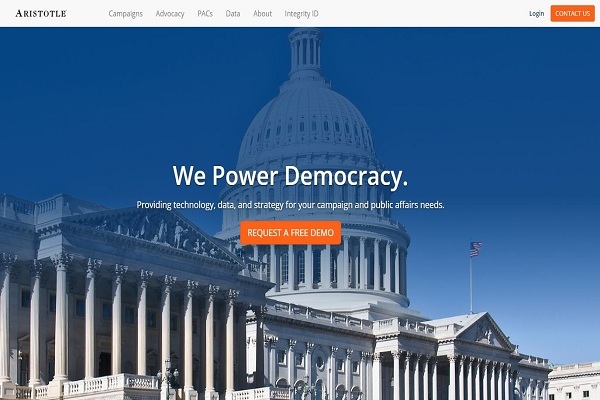 This software offers digital strategy and technology services for political campaigns. Some of the useful features are the online fundraising, social networking, and content management. One of the exciting features this offers is the ease of interacting with the supporters. Free voter files, email marketing, text messaging, call scheduling, fundraiser tracking, voicemails are some of the features. This is a tool that can be used by the individual also. Mass mailing, fundraising, strategic advice are the features offered. This tool is for any political campaigns. Membership management, payment processing, voter files and continuous tech support offered. Most of the political campaign management tools allow importing contact, syncing activities, etc. Some of the tools also make it easy to integrate with other tools. The advent of internet opened new ways for advertising and promoting. Digital marketing of political campaigns is inexpensive but is challenging. A lot of data is available about the prospective voters. Email marketing is one of the traditional types of digital marketing and even for political campaigning; email and text message services help to reach the targeted voting segment. It is possible to connect with nontraditional and younger voters with these kinds of services. The goals that can achieve are to reach broader audiences, keep voters updated on several political campaigning events, etc. For any party or an individual running for office, a user-friendly website is necessary to make the digital marketing effectiveness. People must come to know more about the candidate to decide to vote, and a site is a better way to reach more and more people. 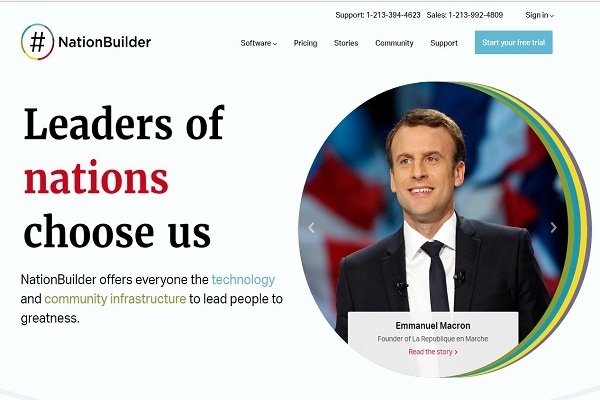 A website for a political campaign is useful for politicians as people can read the biography and other valuable information that can convince them to vote in favor. IP Re-Target and Targeted Digital Marketing: IP targeted marketing is very effective especially to serve display banner ads that are relevant to websites that the targets visit. IP matches the addresses, mobile phones, and the emails by the political campaigning tools to offer highest quality ad placements. IP targeted digital marketing is effective to reach target audience for lowest rates. IP targeting is like connecting personally with the prospects that are most likely to support and convert. Research on competition is critical in political campaigning. The websites, blogs or YouTube channels of the competitors looked at, and also the presence of them on the web are analyzed. The researcher tries to find the techniques they are using and the actions they are taking. Competitor’s analysis includes looking at the website and finding what is working for them what is not. Investigating what issues the competitors and using to damage the reputation of the client, what solution they are offering to the voters for the issue they are facing etc. are investigated. Based on the finding, the campaign designed. Identifying the areas of strengths and weaknesses in the own campaign as wells that in the competitor campaigns helps to improve the individual campaign. Having good knowledge about the opponents and gathering data to be more competitive is essential. Gather data about the websites, social media pages, followers, platforms, engagement, and strategies. There are many tools available to spy on competitors. Digital marketing team helps the individual candidates or the parties running for office to connect with the voters. A dedicated team is required to provide ground support and to understand the target audience. The team helps to create an online presence for the political party or the individual candidate on different popular social media platforms such as Facebook, Instagram, and Twitter. Digital marketing team consists of social media managers, political content writers, graphic designers, content creators, search engine marketers and social media managers. Digital marketing strategist is an important person in the marketing team for the political campaign. He decides what the client wants through the campaign. An effective strategy can help give results in the form or increasing visibility or to get leads. Different tools such as social media, SEO, targeted marketing, etc. are used by them to provide the return on investment. He is another famous person in the digital marketing team. He catches up every detail about particular political issues and writes content and encourages the audience to participate in discussions. Videos and pictures are used to make the content more exciting and engaging. An excellent post in the blog or a website well written by a political content writer will be informative, can be used to make a call to people to take some political action or open up a debate on particular topics. A picture is more powerful than thousands of words. Having images and infographics in the content is important to keep the audience engaged. Graphic designers can help generate captivating photos for the political campaigns. It is not possible to promote a political candidate without the help of content to educate the voter. The content could be in the form of a brochure, a blog post or a video. The content should tell a story. The voters should not feel that the candidate is being sold to them forcibly. Convincing them is important. A good content creator will discuss a problem and tells them how the candidate can make it better. Social media is a powerful tool for digital promotion. The popularity of social media sites is increasing, and the number of candidates was spending time on social media is also growing. These platforms are the best places to reach large numbers of targeted audience. It is not necessary to be on every social media network. Learn the patterns of the audience, their habits, and lingo. Create content and publish them frequently. Social media managers manage the social media marketing and the social media pages. He works to ensure that the content that created for the political campaign appears in the top results of the audience searches. Paid internet marketing, search engine optimization, and other techniques used. He must know about the search engines that the audiences are using. He also helps in creating and managing political campaigns, updating the websites, etc. Search engine marketers take care of the visibility of the content on different search engines. Having social media pages is give good results for politicians who want to have a presence on the internet. Social media pages must create on different platforms such as Facebook. Facebook pages allow reaching the target audience. Facebook Ads also can be run on these pages. Twitter is another popular platform which also allows running Twitter ads. YouTube Channel is the best place upload the video content and reaches the target audience. This is the second largest search engine in the world and videos can go viral and reach a large number of audience. Instagram Instagramis another tool which has millions of monthly users. This is the perfect platform to reach young voters. There are other platforms such as Pinterest, and these should be chosen based on the goals of the campaign and the target audience. Search engine optimization helps to appear high in the search engine results. SEO is not utilized fully by political campaigns in small sizes which is wrong. Utilizing SEO completely helps in gaining exposure. Maximum results can obtain with SEO addressed strategically. Defining the relevant keywords is important. Use the name of the candidate or party running for office. Combine the name with general political terms and trending political issue keywords searched by people. It is a good idea to use Google Keyword Tool to search for most useful keywords. After defining the keywords for political campaigns, do not expect quick SEO results. Frequently update the blog or website or the YouTube channel. This helps the visitors to find the content when searching by keywords. If the content is continually updated, the supporters will also be more active. The performance of the site also improved for search engines. Apart from the blog or a website, use the social network pages to drive traffic to the site. If the content creator is engaging and exciting, it can capture the attention of people and can share on social media sites which help in driving donations also. There are many numbers of communication channels such as Facebook, Twitter, Instagram and others for reaching the voters. It is required to feed content to the blogs, websites, newsletters and email lists. High-quality content is needed to keep the voters engaged. The content you are providing should encourage the people to share and take the message delivered to lots and lots of people. The content should have catchy captions, and it is also a good idea to have a compelling call to action such as subscribing to email newsletters, taking a subscription, etc. Content curation helps to reduce hours spent creating original content. Content curators can make use of the live program videos to cut and post on different social media pages. Content curation not only saves time and resources but also help to keep regularly in touch with the targeted audience. Advertisement created for television can be curated and used as online videos. Content marketing in politics is promoting or spreading the ideas and getting brand recognition. In governments, individuals or parties try selling themselves through digital marketing. Digital marketing for politicians gives a chance to interact with voters. Unlike the TV ads, digital campaigns allow to built trust and provide them with the information that they are looking for and another advantage is that they can consume the message in their leisure time. Digital content marketing allows measuring the effect of the campaigns also. It is not likely that every member of the audience is interested in any one type of political messages. Thus the political campaigns should include articles, videos, etc. so that they can click on the ones they find interesting. Content creators for political campaign thus create content that interest different demographic groups of the specific group of voters. Content creators have the opportunity to personalize the content by using the keywords based on where the audiences located. The video is the most powerful tool to deliver the messages and keep the audience engaged. Political videos help to keep the audience involved with powerful slogans. Well-made videos can hit the emotional notes of the targeted audience. Political videos can upload on the websites, blogs or a YouTube channel can be created to be available online. The video content should be made accessible to share. Political videos just should not just ask for votes. They should tell a story about an issue and say to the audience how the candidate can help to make it better. Online video has more advantages compared to traditional TV advertising. Online video performance can be measured easily. It is also possible to track when the ads skipped, and necessary changes can be made to ensure that the audience watches the video till the end. Different types of videos can use in the digital political campaign. Personal introduction videos help voters to get to know the candidate better. The clippings of rallies, speeches or interviews can be uploaded. Videos to educate and inform the voters created and with this, a personal relationship can develop between the audience and the candidates running for office. When creating online videos for political campaigns, one should ensure that they are short and engaging. They should offer some value to the audience. An active call to action must be included to divert the audience to the blog or website or encourage them to watch some other videos on the channel. Micro-targeting advertising is the new tactic for political campaigns. Political messages delivered to a general audience and more focused messages are tailored to deliver to the micro-targeted audience. In micro-targeting personalized message are sent to the targeted audience through emails, text messages, web-based ads or via social sites. Different messages designed for different people based on the data of voters gathered from various sources such as voters list, census data, social media or from commercial data brokers. Microtargeting can be compared to geographic targeting or demographic targeting. But this works at the micro level. These targeted messages are work efficiently than other messages sent commonly to all. Before using micro-targeting model, it is necessary to test it thoroughly. Big data changed the political marketing completely. The detailed voter information the politicians have today allows them to identify their voters and targets them with political advertisements. Political campaigns are amassing data of voters, and big data is playing a prominent role in the wins of political candidates as was seen in some recent elections. Big data allows targeting specific voters and reach them. Prospect voters are divided based on demographics, gender, financial status, etc. and campaigns are tailored especially for them. Data is collected about people when they brose the internet. Personalized emails, messages and video emails are created and send to these people along with a call to action. Big data also helps to analyze how the candidates are performing and how and where to spend the resources. Time and resources are insufficient and knowing how to spend money can help get the results with minimum resources. Unnecessary spending on strategies that do not work can avoid. However, there is privacy concern with the usage of big data in politics. Many critics feel that big data is playing the significant role that the leadership and principles. However, Big data is going to play a prominent role in political campaigns. Large internet presence with political campaigns went on to become a necessity from being an advantage. Digital political campaigns are very effective, and an influencer marketing can help any politician to make the maximum impact with fewer budgets. Messages can be created and delivered through the bloggers, micro influencers from their accounts to the targeted followers. Influencers incorporate the political message into their already being produced content. Bloggers and influencers with an extensive network and allow reaching the targeted voters more efficiently. Micro influencers and help providing localized experience to the voters. As proved earlier, micro-targeting used by the micro-influencers send messages to groups of the electorate. Digital advertising is becoming less effective due to the usage of ad blockers. Thus digital political advertisers are finding new strategies to reach the target audience, and one such effective way is to go with the influencers or bloggers which can resist the ad blocking. Social media is the most massive focus group in the world, and its advantage is being taken by the political campaigns to get information about potential voters and also to communicate with the supporters. Social media monitoring of political campaigns includes surveying the landscape, analyzing the data and reporting to the campaign. It is possible to run queries, allow the campaign to go beyond its goal. Choosing the right social media tool is important. Tools such as Google Alert can provide with a tremendous amount of content which is relevant. Some other tools allow monitoring of multiple types of social media platforms. Social media marketing or SMM is a part of any digital marketing now it involves money and time. Choosing the right marketer and having a well-planned SMM program can provide with many benefits for the political campaign. Digital marketing is an important tool for connecting with the voters and increase visibility. It also helps to connect with influencers and bloggers. All this for a cost much lower than the traditional marketing cost. Digital marketing is now the platform for political parties to connect with the voters and bridge the gap. Digital marketing is a part of political campaigns now, and the politicians or political parties are spending more and more time and resources on this. The priority of political parties during election days is to reach a maximum number of voters, and this achieved through digital marketing. The success of the political campaign depends on digital marketing which is interactive and cost-effective. To conclude, digital marketing for the political campaign should be a focused effort. All the social channels should explore before posting the content. Digital tools must be used to promote and analyze the performance of the campaign.